The Selene 54 Comedian overwinters this year again together with Selene 53 Blue Light in the boathouse of Selene Yachts in Leeuwarden in the Netherlands. The yachts are lying under roof here and stay dry and clean. 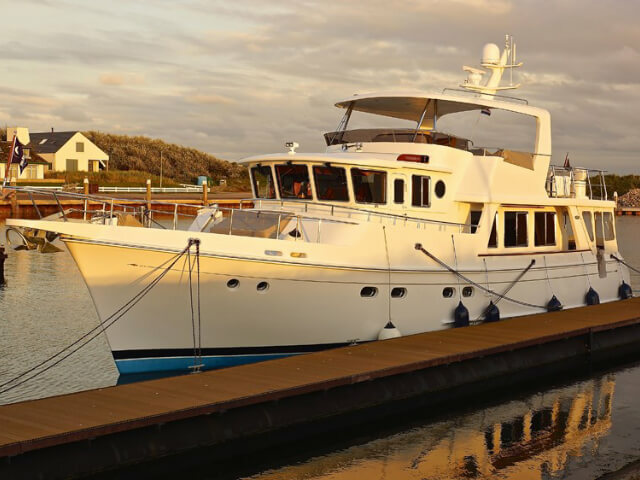 The employees of Selene Yachts monitor the yachts and may also take care of additional service and maintenance works. The owner of Selene 54 Comedian has made a beautiful film of the construction of his yacht, the life on board and the sail from her home port to Leeuwarden, along with Selene 53 Blue Light. Click here or on the picture to enjoy the nice impressions.